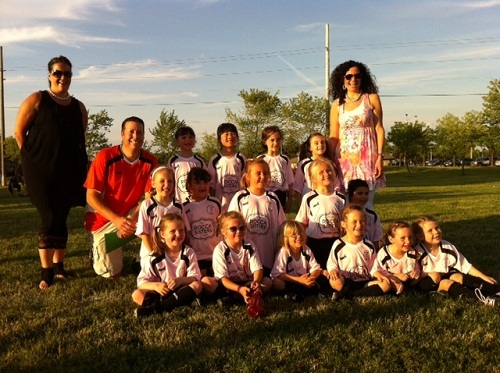 The Rocca Sisters are so proud to be the sponsors of two Scooby Soccer teams for the second year in a row. We want to wish the girls and boys a fun summer season! Scooby Soccer (Soccer Club Organization of Burlington Youth) is committed to providing an opportunity for all youth to play organized soccer and assist them in reaching their potential. The Soccer Summer Camp registration is open. Visit Scooby Soccer website for more information. For those who have registered already, uniform pick up day will be Saturday May 4th between 10am and 1pm at Mainway Arena (Walker’s Line and Mainway). This year we added a little treat along with the t-shirts. We hope the children like it. Please feel free to send us pics and comments about the games ahead. We appreciate!